Tests, Themes and Threads, Oh My! Tests, themes, and threads turned up in my notes as I pondered this week’s blog post. Oh my, I thought what a start to the new year – a good start, though and not one for panic. Busy but blessed. I want you to know as readers of Healthy Spirituality, I am changing some background, behind the scenes structure of this blog. In January, there may be times the blog may not be available as it gets tweaked and tuned up. For example, many of you have noticed the change in the web world from http to more secure https – that is one example of the structure renovation. Tests? I am hoping you never see much disruptions and I survive the details of working with a much more advanced techy person who speaks in words and language I don’t fully understand. Yes, it is in English but all this techspeak is outside my comfort zone. I appreciate prayers for an easy transition and lots of patience for me. And hopefully, you don’t see any glitches on your side. Each year I frame many of posts in a theme – last year, for example, we explored prayer throughout 2018. What will be the theme in 2019? WWW stands for wisdom, wonder, and whimsey. I heard these words a few years ago and been thinking of studying them deeper, possibly expanding them into a book(s). Why not start that journey with you all here on the blog to see if there is interest, enough “legs” to become book-worthy and to expand my own insight into these themes? Watch for blog posts throughout the coming year under some of these www themes. Wisdom – I have a pile of books about the wisdom of God to read. I am curious to read more about this characteristic of our Creator and how he invites us to share his wisdom. Long have I been fascinated by the Desert Mothers and Fathers, known for their wise words and others throughout history. The link between God’s wisdom and how we live must hold insight and direction for us. I wonder what will be revealed. I pray I draw closer to God as I explore this side of his nature. Wonder – and wonder I am this year. I love to look up at the night sky that shrinks our egos and reminds us how small we are. The marvel at the universe. 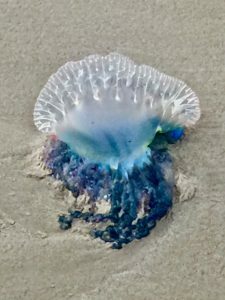 Then to look around at all that God created – a squirrel’s curly tail, the brilliant shades of the jellyfish, the nodes of smaller than the eye can see critters in the deep sea or under that rotting log. The brilliance of sunsets and the terrifying boom of thunder. The marvel of nature and the earth. Then to consider the miracle of the human body – the invisible, minute engines inside the human cell, the tiny hairs filtering air in our lungs, the fighting white blood cells gobbling up viruses and bacteria. The marvel of the human body. I am drawn into praise, worship, and gratitude through wonder. Whimsey – Isn’t whimsey a fun word? It tickles the tongue and brings smiles to hearts. I tend to be too serious and not take the time for joy and delight found in life. We have a God of joy and delight, One who takes delight in us too and I know I am missing this aspect in my relationship with God. The deep dive into the world of wonder will bring me to gratitude and I think I will find joy there too, but I want to explore how joy is also found in creativity, colors, other people. Whimsey is rich with possibilities. What do you think of these www’s? Each year a word appears, usually in December (though sometimes in January) and threads its way throughout my year teaching me, guiding me and shaping my life. I have written about finding your word here and here. I also realized this year that a word may be for a season too – maybe only sticking around for 3, 4, or 5 months until another word emerges. Then again words endure a lifetime. I create a list of potential words in December, listening and looking for ones to step forward. By the end of December, I felt sure I had the one, but it shattered during the Christmas Eve Candlelight services – I knew LIGHT would be my word of the year. Live as children of the light. Feather-light – Be a feather on the breath of God as Hildegard wrote. And all the synonyms for light: illuminate, shine, clear, ablaze, radiant, glow, fire, aurora, and so on. Many Bible verses about light also to ponder and walk with in 2019. 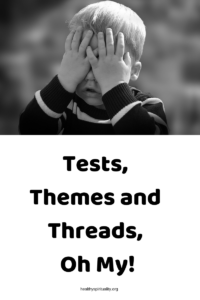 Yes, tests, themes, and threads, oh my! I step into the new year with hope and knowledge that no matter what happens, God is with me, shaping me and leading me onward. What are you looking forward to in 2019? Do you have a word/themes for the year?